Neymar took to Instagram to rage about the penalty that sent Manchester United through to the Champions League quarter-finals at Paris St Germain's expense. In a story post on the social networking site, the 27-year-old, who missed both legs through injury, wrote: "This is a disgrace, they put four people that know nothing about football in charge of looking at the replay for VAR. 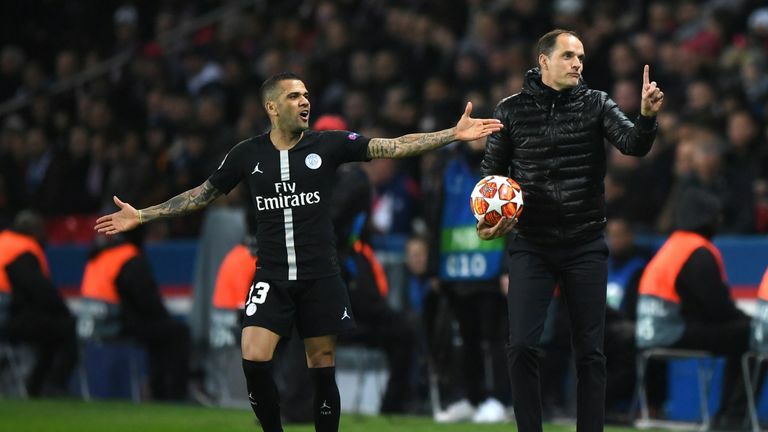 Neymar's manager Thomas Tuchel defended him after the game, and said the message was posted in the heat of the moment. "Of course it's a strong reaction, he was at the field," Tuchel said. "Sometimes after a big fight you use words and reaction emotionally that you take back some hours later. "He wanted to come back with us in the quarter-finals and he's been biting his nails at every game we've played, so don't be too hard with him. I wouldn't over-interpret the use of his words. In the heat of the moment, it's quickly typed into a smart phone."